Cover reveal, release day, and Camp NaNo! This week has been crazy busy! Monday was the cover reveal for Blackmailed, and the post didn’t post… Operator error. I swear I need an assistant… So here is the cover! (Blurb is in the books available)! NaNoWriMo… Facebook thinks I’m an addict. Thanks Google! Nothing like seeing addiction center ads in your Facebook timeline… Thanks Google for creeping on me and my research for my NaNo project. 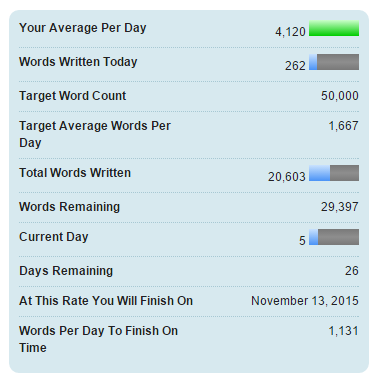 Which tonight… I hit the HUGE half-way mark.. 25,000! Woohoo And I actually wrote the ending too. Now to put the beginning and the end together. And it’s my favorite part of writing a novel. This is the part where the characters grow and learn about each other and it’s like meeting your best friend all over again. And I’m so excited. I got this. 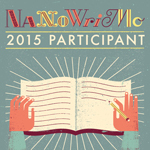 #InItToWinIt #NaNoWriMo15 !! Thirsty Thursday and a NaNoWriMo Update! I think one of the scariest things as an author is publishing your work. You’re putting it out there for the world to see, and you’re opening yourself up for criticism–good and bad. The second scariest thing, unpublishing your work. This morning I had to click unpublish on both of my books because Limited holds the rights for the next couple of years. (And that’s scary too)! But I know my book babies are in good hands and I can’t wait to see what changes are made… They can only improve from here. However, the feeling of wanting to drink is there. Ha Happy Thirsty Thursday, right? 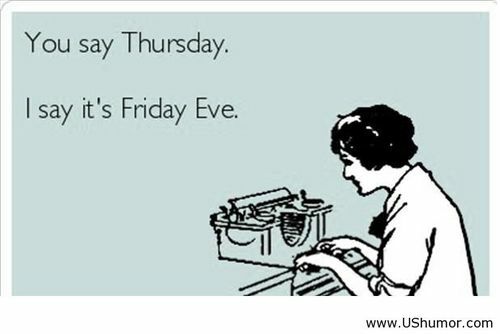 And with this being Thursday, we are one day closer to Friday and the weekend. Hopefully I can get the husband talked into getting everything that needs to be completed this weekend done early so I can write! NaNo baby! 🙂 Yesterday was kind of rough. I felt like I hit a wall, luckily it wasn’t the characters fault, but my own. I had so much going on, I didn’t take a breather to write, and totally paid for it when I was writing at 11 pm last night trying to make my 1,667 daily goal… I made it to a little over 1,700 a few minutes to midnight. AHHHH So today, I’m writing. Everything else I can wait. Well, except homeschooling. That’s kind of important. This is keeping me in check, and I still need 1,405 for today. Not too bad for five minutes of writing. Minutes can make a difference when you allow creativity to flow. Soooo write on, fellow writers! We have NaNo to win!! Have a FANTASTIC Thirsty Thursday. 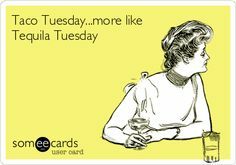 Taco Tuesday or Tequila Tuesday?! It’s only tenish am here in Indianaland, but it’s close to tequila thirty! Can I get a hell yeah?! Haha As much as I would like to take a shot and chase it with a lemon…which might actually help my voice…I need to get my write on. While I was editing this morning, a scene I’ve been having trouble working out in my NaNo project came to me. I’m like hit me in the face and I start crying, emotional mess, crying over a character vision. The scene is so intense and raw. And I could feel the pain and emotion the character was going through. I used to think before I starting writing that authors were a little crazy when they said they talked to characters or cried over them. But once I started writing and investing time in my characters lives, they became a part of me. Yeah, maybe authors are a little crazy, but their not crazy for having an attachment to the characters. Those characters are a part of them…they’ve poured their sweat and tears…and even blood if they are clumsy like me and get paper cuts from their notes, into their characters. 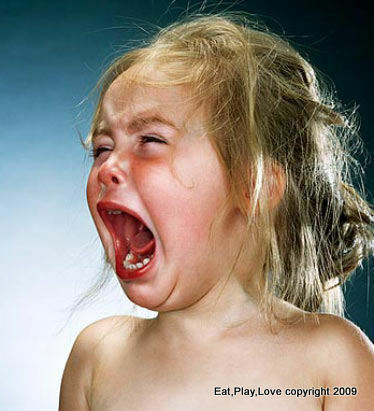 That’s exactly what I looked like… A hot emotional mess. But I reread my notes and I’m happy with where it’s going. Maybe not a happily ever after…yet. Deep breath, everything will work out. Have a great Taco Tuesday!! 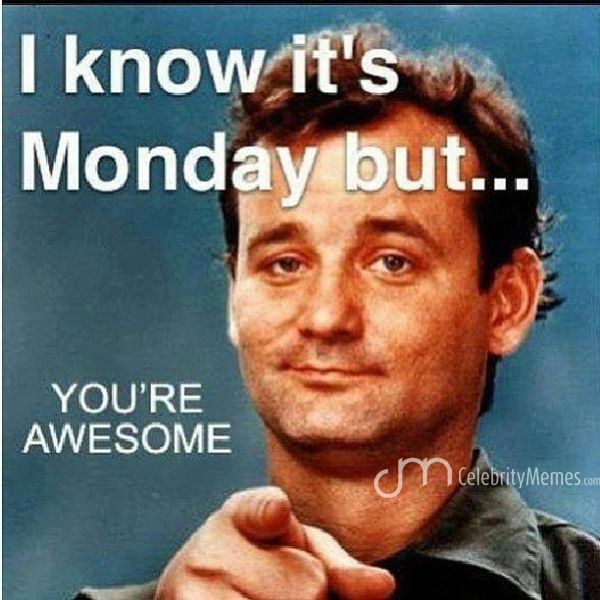 I hope y’all are having a fantastic Monday!! Today has been crazy! We are not so patiently waiting on the internet company to service our line. Something crazy has been going on with our internet for a couple of months, I finally went mama bear on them once only one person could get online at a time… We have to have our internet! Ha!! 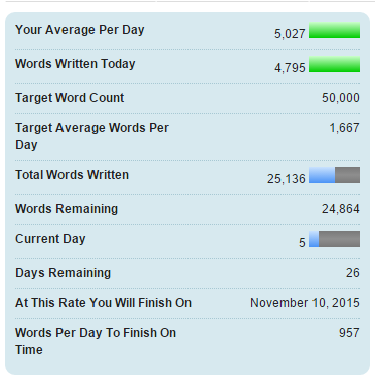 Monday also started day two of NaNoWriMo and this girl is ROCKING IT!! I hit 10k words written a little after eleven pm last night. Woohooo Thank you for going back to regular time yesterday, although I woke up way early this morning. Oh well. Better to be early than late. Guess I better get back to editing for my client so I can write more tonight. 50k or bust. Have a fabulous day, y’all! Two Days and Twelveish Hoursish (Eastern time of course) until NaNo! I have been working on my story for NaNoWriMo this week. I am so excited and I am hoping to win this year! Last year wasn’t a good year as my husband ending up spending a week in the hospital… But this year, he seems to be in excellent health. I also might have threatened him a little bit too… no illness, Mister, or I’m cutting you off! Hahaa Na, I’m not that bad. So… A little bit about Love With All My Heart… My NaNo project. These two have a lot going on… I can’t wait to see what happens, because I don’t know yet. They are keeping their lips pretty tight on what’s going on between them. They are pretty talkative about themselves. Rush is almost too talkative… Men! The clock is ticking and I so ready for November 1, 2015 00:00 to be here!! Have a great Thursday, y’all!